There has never been a better time to Go Solar! Contact Energy customers will be forced to pay an extra $5 to $12 per month, as the cost to get electricity from the grid to homes increases. You’ll have to dig a little deeper into your pockets this winter, with the price of your electricity bill about to grow. And it’s not just the use of heating that is driving that price up. 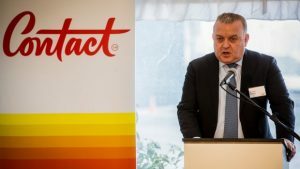 Some Contact Energy customers will be slapped with a bigger bill from June 6, as the cost to get electricity from the grid to homes increases. A company spokesman said customers would be paying an extra $5 to $12 per month. Contact Energy was altering its electricity pricing in six regions around the country – Christchurch, Taupo, Far North, Wellington, Central Otago and Northland regions. One resident in the Wellington suburb of Hataitai has had his daily charge rate increase from $2.138 per day, to $2.262 per day. The move was to account for a change in local network charges, which is the cost in which network companies charge to transport the electricity from the grid to homes, as well as a change in Contact’s charges, the spokesman said. The local network charge accounts for about 40 per cent of the bill, he said. In an email to Wellington customers, Contact Energy head of customer service Bryan Middleton said the company had not made changes to energy and service components of the price. In the Wellington email, Middleton guaranteed customers would get a better base rate than what they currently pay. This latest price hike will hit just two months after 15 other regions – southern Hawke’s Bay, central Hawke’s Bay, Invercargill, Southland, North Otago, Otago, Dunedin, Nelson, West Coast, Buller, Bay of Plenty, Rotorua, Timaru, Wairarapa, and Eastland – also fell victim to an increase. The average increase for residential customers those regions were between $4 and $12 per month. Customers were given the option of signing up to a fixed plan to avoid the price change. They would lock in that rate until October 31, 2018.